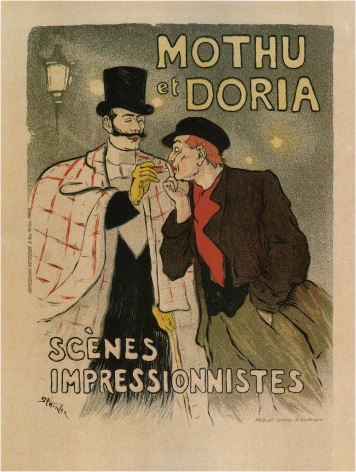 Vintage Mothu et Doria Advertising Poster. This poster was created by Steinlen, Theophile-Alexandre. Illustrated is two men, one offering the other a light for his cigarette. Musee Grevin, Les Dames Hongroises, Grand Orchestre Vintage Poster. Vintage French C.G. Transatlantique Line Poster. Shipping Travel Poster of the Normandy by Paul Colin. Visit France. The Basque Coast, Vintage French Poster. Visit Paris, France. Vintage Trans World Airlines Poster.